The most advanced underpad for optimal skin dryness. Keeps the bedding and patient dry. Advanced thermo-bonded core delivers superior skin dryness and resident comfort. Wicks moisture away from the skin and locks fluid away to provide better skin care and resident dignity. Super absorbent - 1 CarePlus® absorbs what used to require 3 or more underpads. Super strong to reduce tearing and resulting linen changes. Folded over edge for better containment. 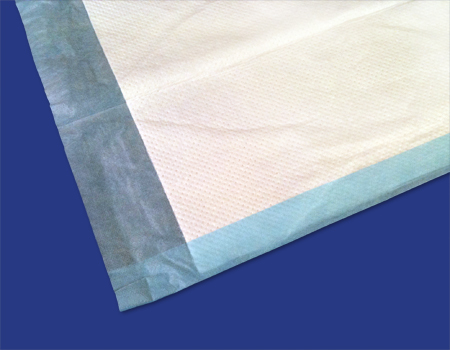 Soft non-woven top sheet across the pad protects skin from contact with the poly backing. 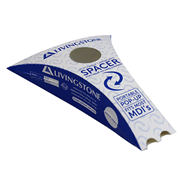 Ultra absorbent polymer is spread throughout the entire core for maximum absorbency. Top sheet is fused to the core so it does not stick to the skin or bunch up while in use.